Australian scientists have discovered many tropical, mountaintop plants won’t survive global warming, even under the best-case climate scenario. 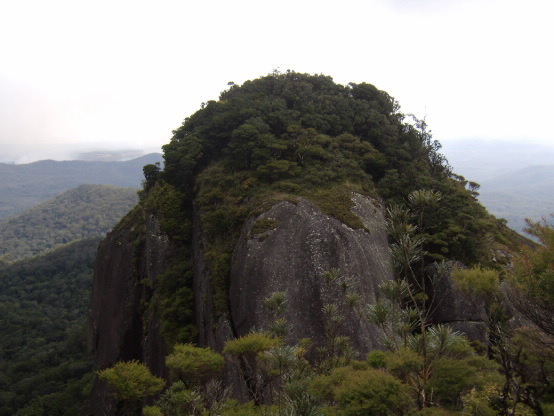 James Cook University and Australian Tropical Herbarium researchers say their climate change modelling of mountaintop plants in the tropics has produced an “alarming” finding. Lead researcher, Dr Craig Costion says the findings have important implications for some rare and ancient species. “They already live on mountain tops, they have no other place to go,” he says. The researchers looked only at endemic trees and shrubs found solely above 1000 metres and for which there were the best records. They didn’t consider reasons for their presence on mountaintops apart from climate suitability. But Dr Costion said he was confident the scientists were not being alarmist. “The 19 species represent most of the plants that are restricted to that habitat. It’s highly likely they are found only there because of the climate. There are plenty of other similar soil and substrate environments at lower elevations where they could grow but the climate is unsuitable,” he says. “The tropics contain most of the world’s biodiversity, and tropical mountains are particularly rich in unique and rare species. Managing for global threats such as climate change requires much better information - a redoubling of research efforts on these poorly understood landscapes would pay great dividends,” he says.